Back into familiar territory now, as we approach Rochester. 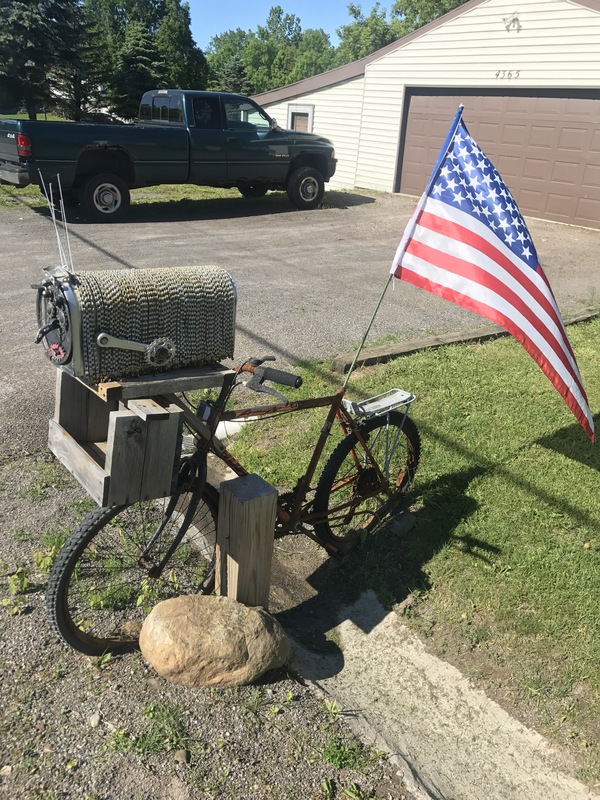 Got briefly lost and found a cool mailbox in the country. 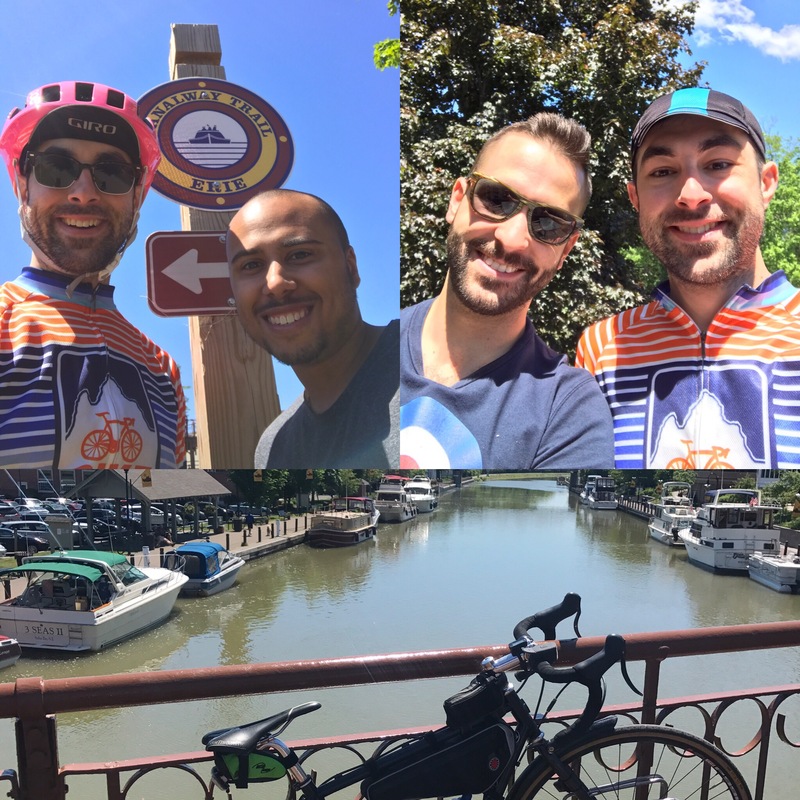 Rest stop took place as we turned onto the Erie Canal, which we ride all the way to Lockport. Met with James for a bit in Fairport, then lunch with Brandon at a cool cafe. Dropped into Towpath for the first time – nice shop. The Wesleyan Church folks were very accommodating, and I got to visit folks in Rochester overnight. Rose: Friends! Weather! Generous hosts! Thorn: Legs feeling a little sore.